Looking for the right company to supply farm fencing for your property in Jacksonville, Florida? At Fence Workshop™ we have one of the highest levels of experience supplying wood and wire farm fencing, post and rail farm fencing and more. 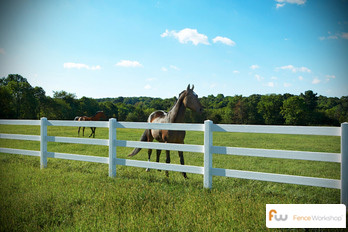 We specialize in supplying Jacksonville farm fences for horses, cows, goats and other farm animals. Jacksonville has beautiful neighborhoods that are convenient to the city, and offer a relaxing escape from the business. These properties need practical fencing, but it should also be well built and great looking, as well. Because of our experience, we understand just how curious animals can be around a new fence. Horses, for example, will generally test a new fence by leaning and pawing against it. We understand what materials, procedures and precautions to take to ensure our farm fences stand the test of time and curiosity of large animals. Why choose Fence Workshop™ for farm fencing in Jacksonville, Florida? All farm fences are supplied by our Farm Fence Experts. 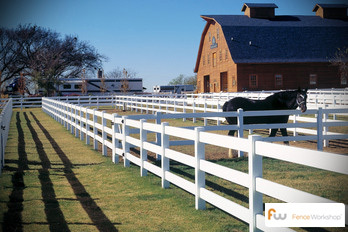 All of our farm fences come with a best in class manufacturer warranty. We service Jacksonville, FL and surrounding areas like Tampa, Orlando, Daytona Beach, Destin and more. Chain Link Fences Jacksonville, FL. Vinyl Fences Jacksonville, FL. Steel Fences Jacksonville, FL. Wood Fences Jacksonville, FL. Aluminum Fences Jacksonville, FL.